Whether you are a new homeowner or you’ve moved ten times since you first bought a home, the backyard is one of the best opportunities to make a home feel like it’s yours. It’s a way for you to customize your home and leave your mark. Sometimes, people who have been renting for a long time or simply didn’t have the money to invest will plan for years to eventually have their dream backyard. They’ll lay out every square inch of their property, plotting out the ideal outdoor space for their family. Every stone will be accounted for, and they’ll be ready to move forward only to realize they made one glaring error: they didn’t account for the climate. Unfortunately, certain backyard features really only work in certain climates. Landscaping, water features, and other backyard designs need to be designed with the climate in mind. Here are a few ideas of what to consider when you design a backyard for your home. Your region’s climate has a major impact on which flowers or vegetables will grow in your garden. Some plants are more likely to grow in warm, humid climates while others do better in cool or dry regions. And the weather is only one part of the equation. Depending on where you live, your soil may be better suited for root vegetables, beans, peppers, or tomatoes. Some flowers that do well in areas like California while some may only be able to survive in the Deep South. Before you plant your garden, be sure to thoroughly research which garden plants can thrive in your area. Here is a complete guide on how to build a raised garden bed. You may have been dreaming of having a pool in your backyard ever since you were a kid. The thought of being able to wake up, roll out of bed, go outside, and jump right into your personal oasis can be very enticing. Unfortunately, this is only practical in some regions, typically those on the coast or in southern states. Inground pools in Jackson Mississippi are better investments than in Bozeman Montana, for example. There are several decisions to make when designing a pool for your home. Factors such as size, design, and additional features are important. One of the biggest decisions to make, however, is the material you will be using for your pool. Concrete is very versatile, and you can design a backyard custom pool that fits your home’s layout much more precisely. Fiberglass pools tend to be less expensive to install, but they also come in predetermined sizes and shapes, so it’s more difficult to customize. Vinyl pools are somewhere in the middle, both on customizability and price. If you are installing a backyard pool, make sure it fits well within your home and your neighborhood to get the most value from it when you eventually sell. 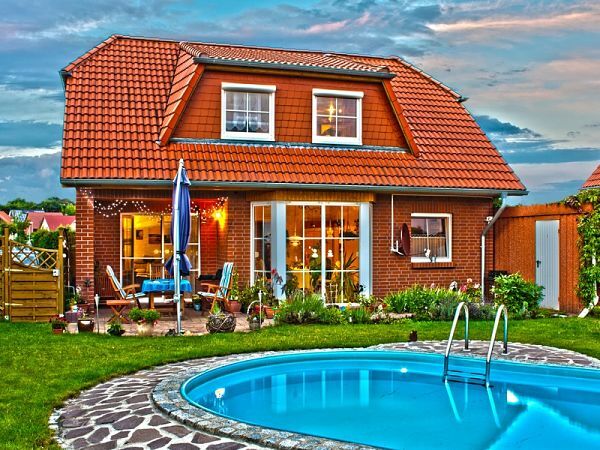 Many experts also recommend that, if you are installing a pool, you are planning to live in the home for at least a few years, as a significant amount of its value will come from the use you and your family will get from it. When you sod your lawn, you have a wide variety of grass types to choose from. Some are softer and more comfortable to lay on in the summer while others are hardier and more able to endure a cold winter. If you live in an arid climate like Arizona or New Mexico, your options are more limited, because some varieties will need to be watered so much that it will cause your water bill to skyrocket. You may be able to have grass in your lawn but be forced to use a smaller area to cut down on costs. Northern states with colder climates like Minnesota should focus more on tougher grass types that can survive through the snow. Do your research when you are laying out your lawn. Just as it does when you’re planting a garden, the soil makeup around your home will also have an impact on which grass will work best in your lawn. The outside of your home isn’t limited to just the grass in your lawn. 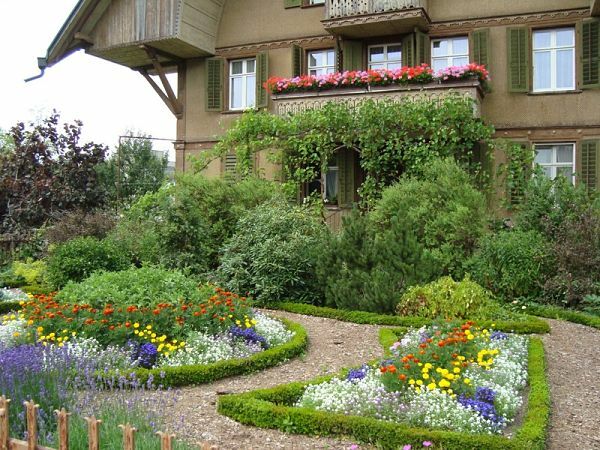 You can install flowerbeds, trees, and other greenery to decorate the outside of your home. If you want to keep maintenance as low as possible, stick to plants that are native to your region. In arid climates, you may even keep the number of plants to a minimum and rely more on multileveled rock features to decorate your yard. Your backyard can be an outdoor sanctuary. Even though your options may be somewhat limited based on where you live, you still have a wide range of ways to decorate it and make it your own. Research which plants work well in your climate and study up on popular layouts in your area to gather inspiration from what others have done. With a little bit of effort, you can make your backyard a special place that you and your family can enjoy, no matter where you are.